Abusive mortgage clauses are found in a high number of Spanish mortgages. According to Consumers Associations, 98% of Spanish mortgages have defects or have not been clearly explained. This does not surprises us specially, since Spanish legislation does not set many restrictions on the use of the interest rate in these type of financial products. The interest rate is considered to be part of the commercial element and is not regulated with legislation. This has allowed for many financial institutions to establish abusive, complex and unclear clauses in their mortgages, in detriment of the consumers’ wallets. A swap is an insurance policy that protects your interest rate in case of future Euribor fluctuations. You pay a monthly premium and, for example, if the Euribor suddenly increased to 4%, your interest rate would be “capped” at, say, 2%. This product was sold as a safe product to the unsuspecting borrowers. Sometimes it was even integrated to the mortgage as a freebie… What not many borrowers realised was that, at the same time that they were getting a guaranteed “capped” rate if the Euribor went up, if it went under a certain percentage, they would have to “compensate” their lenders and make up for the shortfall. In some cases, this means paying hundreds of Euros over their normal monthly payments. These SWAPS have been sold over the last few years as a safe product, when the lenders knew about the Euribor’s bearish trend and that it was going to keep decreasing in the future. They knew when they sold them that their clients would stand to lose their hard earned money. Many borrowers in Spain have won Court claims and have all the money they have lost refunded because the judges have considered this financial product to be abusive. A floor clause is a “cap” put on your interest rate so that, if the Euribor goes down, your interest rate cannot go below a certain percentage (i.e. 4%). This has impacted greatly on the borrowers in the last few years. The Euribor has reached historical lows but the borrowers’ repayments keep being almost as high as before. 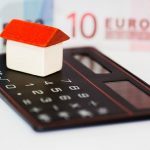 The Spanish Supreme Court declared null the floor clause in many mortgages, saying that the clause had been agreed with a lack of transparency and clarity. 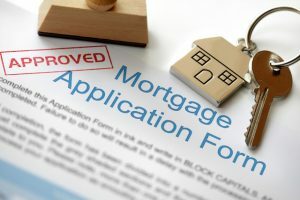 In many cases, the clause was not specifically explained or mentioned to the borrower, and in other cases it had been buried in the mortgage offer amongst a myriad of figures and complicated calculations. Each mortgage needs to be studied carefully to ascertain if the borrower was aware at the time of the floor clause, or if it was included without having given all the pertinent explanations to the borrower. If proven that the borrower wasn’t informed adequately, it can be annulled through the Courts. This rate is a percentage used by the financial institutions. 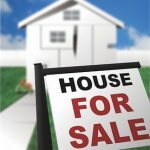 It is an average of the interest rates of mortgages with variable interest rates, over a period of 3 years. Historically this rate has been always higher than the Euribor, with the corresponding damage to the wallets of thousands of mortgage holders that were sold mortgages with this rate. The Euribor has been going down steadily since 2008 and it stands currently at -0.018 %. The IRPH oscillated between 3.5 and 4%. The Spanish Government abolished this rate in November 1st 2013. You need to be careful with the alternative interest rate that your bank has been applying to your mortgage since November 2013. They don’t necessarily use Euribor and you could be still be paying upwards of 4%. If your mortgage did not contain specific provisions in case the IRPH rate disappeared, the alternative created by the government is not much better than the old rate. How can ABC Solicitors help you with this? 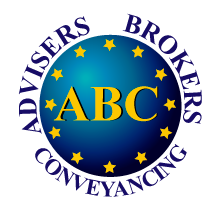 At ABC Solicitors we worry about your peace of mind. If you have any doubts whatsoever about your mortgage and would like it to be examined by a team of experts, why don’t you bring us a copy of your mortgage deeds? Our Legal Team will study your mortgage documentation and advise you of any abusive clauses that it might contain. We will also inform you of your choices, should we think that you have a case for a claim. Don’t hesitate to contact us for further details.